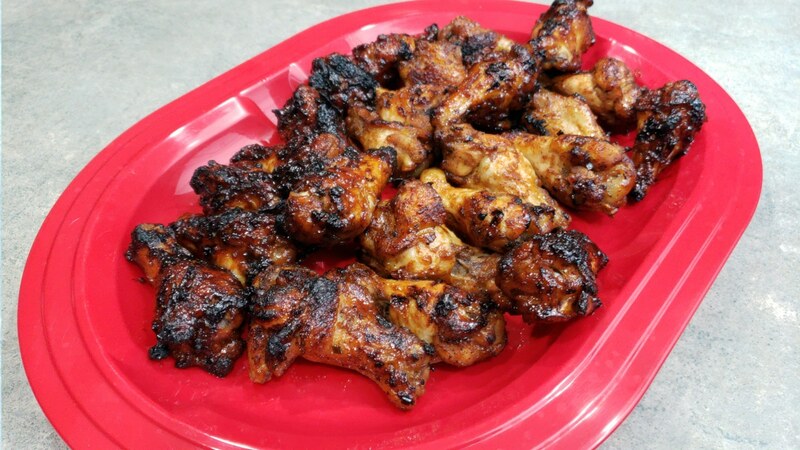 Preheat air fryer to 380º F.
In a bowl, toss wings in salt, pepper, cayenne (if using) and olive oil. Add to air fryer and cook for 20 minutes. In a medium saucepan, combine garlic, ginger, soy sauce, honey, sriracha, and vinegar. Bring to a boil and lower temperature to simmer until sauce thickens. In a bowl, toss wings in sauce and return wings to air fryer.